THOSE of us who grew up in Rhodesia knew from an early age that the foundational pillars of the strength of the Rhodesian economy lay in agriculture, mining and manufacturing. So strong was Rhodesia’s agriculture, whatever could be said of its racist outlook in respect of land ownership and control that I, just like most middle-aged Zimbabweans, grew up on a generous diet of State ‘propaganda’ that our country ‘is the bread basket of Africa’. The truth is that Rhodesia and the ‘early part’ of Zimbabwe produced millions of tonnes of grain and horticulture products. Even during the worst periods of severe droughts, our silos would carry sufficient grain reserves to take us through to the next rainy season. The country boasted of hard working rural citizens routinely accorded ‘Master Farmer’ status, with critical knowledge imparted by committed agriculture extension officers commonly referred to as ‘abaDomeni / maDhomeni’. I suspect this term was an adulteration of the word demonstrator – individuals paid by the State to ‘demonstrate sustainable farming methods’. This week I want to ask: how is it that a country once famous for exporting excess grain to the region is now begging for maize and wheat from Zambia, Malawi and South Africa? Who is culpable for this spectacular fall from agricultural grace? Why is there so much agricultural disequilibrium now than ever before? The answers are embedded in one word – climate – both atmospheric and political. Irrefutable evidence exists that the atmospheric climate I grew up under in the 1960s and 1970s has drastically changed, for the worse. Climate researchers in various government departments and those at Matopo Research Station have proof that Zimbabwe rainy seasons are now shorter with longer dry spells. Familiar talk about climate Regions IV and V being semi arid also applies to the previously wetter Regions I-III. What this means is that Zimbabwe is now more vulnerable to weather extremities (flash floods, long dry spells) than it was thirty -years ago. The results are devastating: excessive soil erosion because of water runoff on previously dry ground, flooding of cropping areas and crop wilting. Experts warn that by 2020, 75-250 million people will be exposed to increased water stress while possible yield will wilt down 50% by 2020 in parts of Africa and per capita water availability could decline by 38% by 2050. This is why local researchers are investing millions of dollars in short season variety grains, at the same time encouraging farmers in mainly Regions IV and V to focus on drought resistant grains like amabele, inyawuthi and uphoko/ mapfunde, rukweza. But our obdurate addiction to maize farming is a disease causing unnecessary and self-inflicted food shortages. Officials in environment, agriculture and water ministries have several policy documents that espouse the essence of water management. This, combined with water-sensitive irrigation must be the panacea for water deficiency in cropping areas. The tragedy of relying on rain-fed agriculture in water deficiency climate causes food insecurity. In countries like Israel and Botswana where rain is scarce, farmers have embraced drip irrigation to enhance food supplies. The atmospheric climate challenges above, have in the case of Zimbabwe, been compounded by and their negative effects made far worse by the political or should I say governance climate I now turn to. The political and governance climate like atmospheric climate is also a cause of food insecurity in Zimbabwe. For all his political transgressions, Ian Smith and his Rhodesia Front had mastered the art of food production. As I have written in previous articles, the colonialists had demarcated our country into three distinct ‘agricultural regions’ – rural, small holder and commercial farming areas. It is true that our parents, though classified as ‘peasants’, produced enough maize to diligently deliver to the nearest government silos. But our country’s ‘bread basket status’ was secured by more ‘organised’ intensive, title-supported, bankable, irrigation-based commercial farming. In fact, economists agreed that the strength of Zimbabwe’s Gross Domestic Product (GDP) lay in the country’s agro-based industry. Factories, engineering companies, retailers and banking services relied heavily on the value chain of agriculture. The number of Zimbabweans once employed and dependant directly on agriculture easily ran into millions before the year 2000 season of Zanu PF ‘fast track land reform’ tsunami. President Robert Mugabe and his Zanu PF party had been content in the comfort of disputed land tenure as their political hegemony was virtually uncontested. 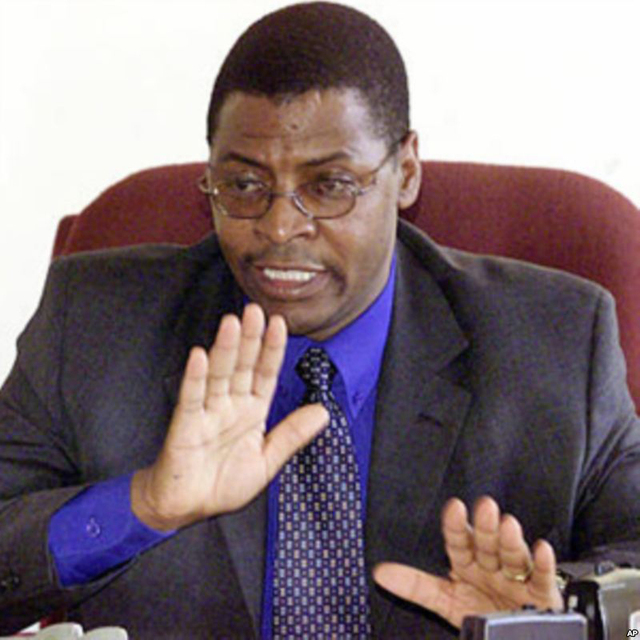 As long as industrialists and commercial farmers did not interfere with Zanu PF political dominance, the property rights scene and political ‘temperature’ remained stable. But all that changed when the MDC came into the political arena. However, how did this affect our country’s breadbasket status? It is not rocket science how policies that uphold the rule of law, respect for private property rights, electoral democracy and good fiscal management have a positive effect on how a country manages agricultural productivity. This is why there is not enough locally produced food in Somalia, South Sudan, Zimbabwe and the DRC. Sycophants who transmit energy of fear, death and destruction govern those countries. Citizens are unsafe and live distracted lives. When can they have time to plan for farming when their leaders perpetually conspire corruption, invest State resources in arms of war and devise expensive ways of electoral cheating? This is exactly the same situation we have had since year 2000. That the land ownership and control structure patterns which existed in the country up to 2000 were unsustainable, unfair and unjust is incontestable. That justice and fairness needed to be brought to bear thereon is equally indisputable. At some point and through some policy process and intervention commercial agriculture had to be democratized. Thus, I have always agreed with those that argue that it was important to restore land ownership justice in Zimbabwe. What I have always contested is the crude methodology, warped logic and vindictive nature of President Robert Mugabe’s ‘fast track land reform’ programme which obliterated the agricultural sector. This is why Zimbabwe can no longer cope with negative effects of climate change. Millions of peasant farmers ‘resettled’ in previously title-secure commercial farms received virtually no meaningful support to become successful farmers. Some of them had no skills and resources of their own to produce grain. Five thousand white commercial farmers who were rendered homeless abandoned agriculture and left for other countries with their skills. Their unpaid farming debts crippled the banking sector. Fertiliser and tractor companies heavily dependent on the agriculture value chain were liquidated, so were engineering companies in Bulawayo and Gweru. In short, the collapse of agricultural production in a country whose manufacturing sector was/is essentially founded on agri based industries inevitably led to the collapse of manufacturing. In one stroke two of the pillars of the country’s economy were mortally wounded by the political climate actions of Zanu PF. Today, as you read this; former white Zimbabwean citizens expelled by President Robert Mugabe are performing farming wonders in Zambia, Mozambique, Malawi and Nigeria. What these countries have in common is their respect for property rights. This year, Zimbabwe will have to import almost one million tonnes of grain from some of those countries because we can no longer produce three million tonnes to feed ourselves. Of course, Zanu PF propaganda lays all the blame on climate change and ‘Western sanctions’, but why has climate change not affected Zambia? President Mugabe has already travelled one hundred thousand miles around the world, costing our treasury well over sixty million dollars. His minister and their officials still drive the latest ‘Western cars’. Zimbabweans import four billion worth of consumer goods every year. Members of Zanu PF send their children to colleges overseas. Sanctions, what sanctions? For the record this is what has happened to the agricultural production . Maize production has fallen from a peak of 2 million tons in the year 2000 to just over 500 thousand tons in 2014; wheat from a peak of just over 300 thousand tons in 2001 to less than 10 thousand tons last year; coffee from 10 thousand tons in 1998 to around 1 000 tons in 2014; beef from a peak of just under 160 thousand tons in 1991 to around 25 thousand tons by 2014; milk from a peak of 250 million liters in 1991 to about 50 million liters by last year. As a result, the country’s food imports as a percentage of total imports has multiplied on average almost seven-fold between the year 2000 and to date. As I said, the MDC concurs that it is an undeniable historical fact that land ownership between 1890 and 1990 was skewed against black Zimbabweans. There was need to redress this unfavourable situation where 15 million arable hectares were in few hands, but it was necessary to use universal methods that promote constitutionalism, justice and fairness. MDC does not agree with land reform which removes the right to due process, negates constitutionalism and legality, abandons the principles of the rule of law and is implemented in a manner which negates the right to work and effectively renders jobless previously employed citizens. This is the picture of ‘land reform’ as implemented from 2000 up to now. The result: Zimbabwe’s international isolation; a drastic decline of our agricultural output as per the above statistics; two million citizens under constant threat of starvation; an annual US$700 million food import bill; 300 000 unemployed former farm workers; 5 000 white citizens deprived of their property under a law which abrogated due process; massive deforestation in former commercial farms; a 90% increase in wild life poaching resulting in the virtual decimation of what had become a growing and lucrative sector of game farming ; a 60% collapse of agro-based industries and related job losses pointing towards 90% formal unemployment; millions of children displaced from ‘proper’ rural to makeshift farm schools. To add salt to injury, only a few hundred politically connected cronies each own more than five state given farms with access to unlimited farming inputs. Thousands of peasants in former commercial farms have no access to finance or security other than an ‘offer letter’. An MDC government whose ideology is guided by social democratic values, tenets and principles of fairness and justice will seek to de-racialise land ownership so that every Zimbabwean who wants to own land is afforded that opportunity. This means a full Land Audit managed by the new Land Commission being empowered to rationalise land tenural systems, land use, expose corruption in land allocation and ensure justice and fairness in land acquisitition, allocation and use. Where possible, all commercial farming land will be restored to the property market so that deserving citizens get title deeds. A key component of MDC policy will be to ensure restoration and development of secure systems of tenure which are capable of restoring value to land and its use as collateral security. The current rendering of land into dead capital is clearly unsustainable and against the national interest. Our progressive land policy will also focus on restoring constitutionalism into land reform, promoting research on short maturity variety seed /drought resistant crops to mitigate the effects of shorter rain seasons, ensuring investment and training of local communities in water harvesting, irrigation and dam usage and ensuring that the infrastructure of agriculture is revolutionized so that rural, small and large scale farmers have access to electricity, all season roads and water.